Thank goodness for cell phone cameras! 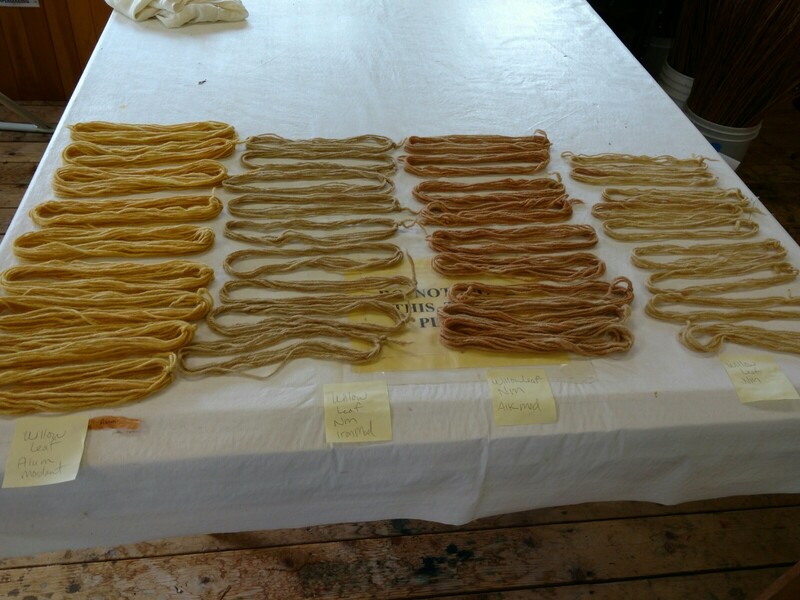 Things moved really fast at Sievers last month, with eight students working independently in a natural dye workshop. Good thing I had snapshots to help jog my memory a month later (first chance I’ve had to post). 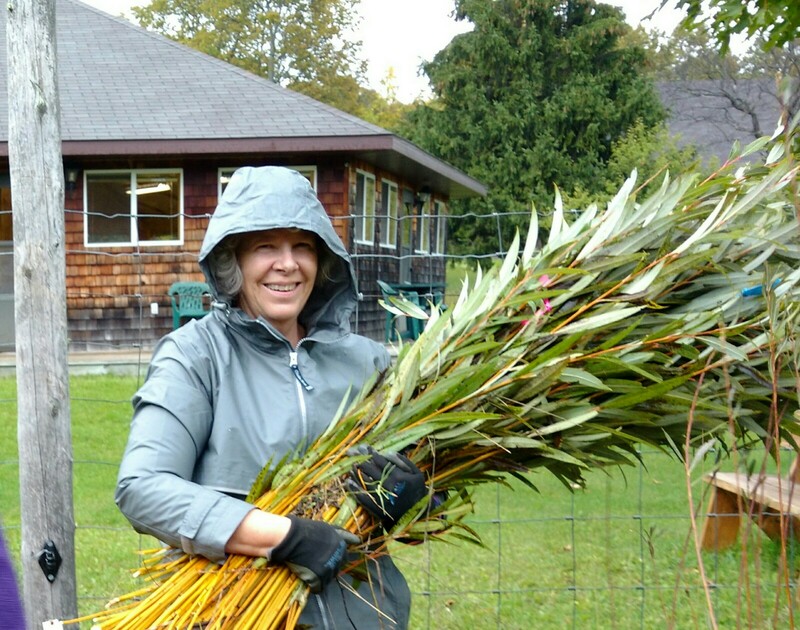 We started the week by cutting willow from the patch on the Sievers campus. Many hands made quick work of cutting, and then stripping leaves. 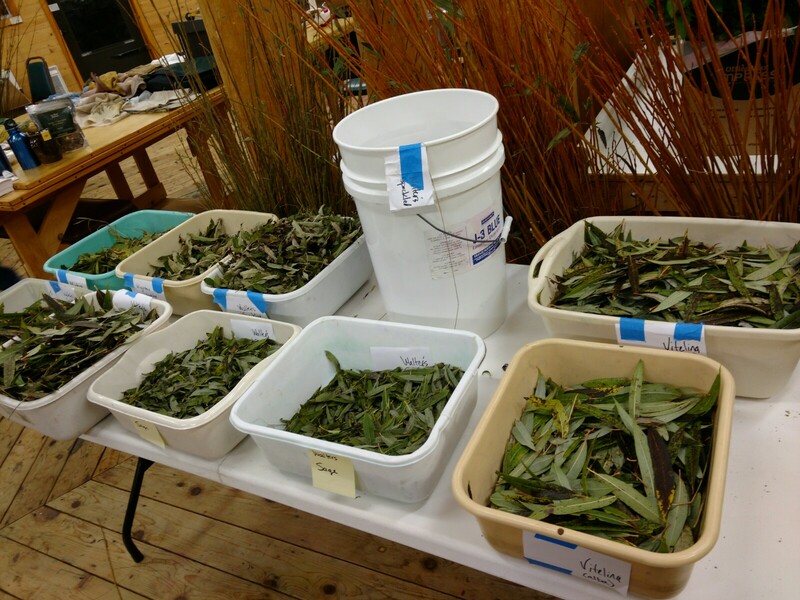 Soon there was a smorgasbord of willow dyestuff ready for pots. 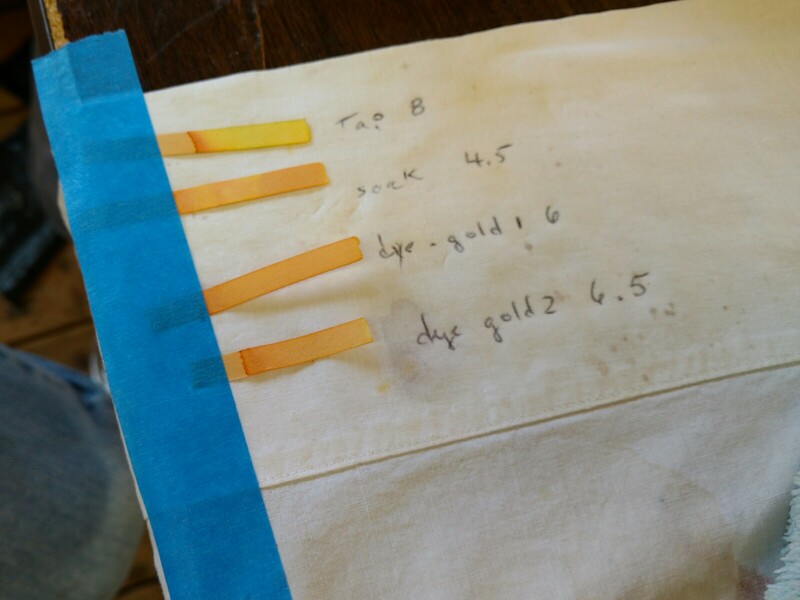 We did brew up a group pot of willow leaf dye for a sample set — on alum-mordanted and unmordanted wool and with alkaline and iron modifiers. 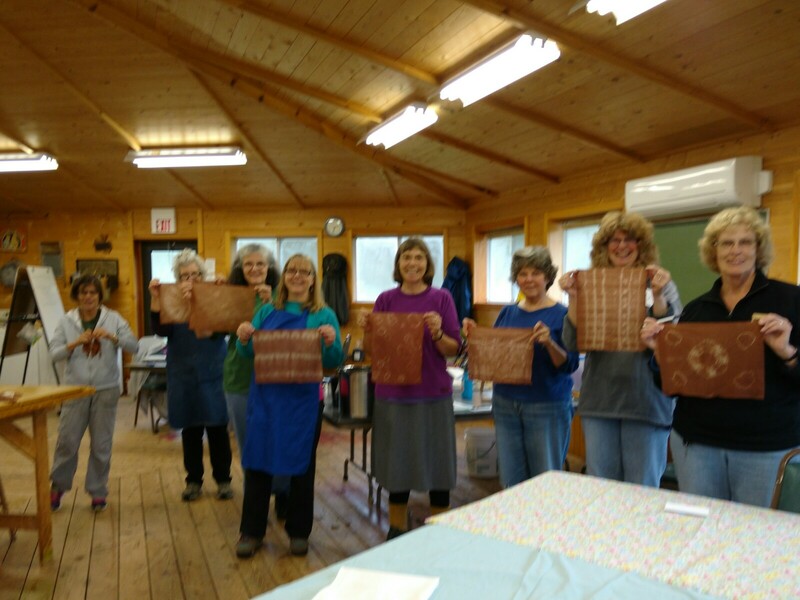 We also did a group pot to sample willow bark dye on silk fabric (group photo at top). But every student had their own burner and time to follow their own interests. 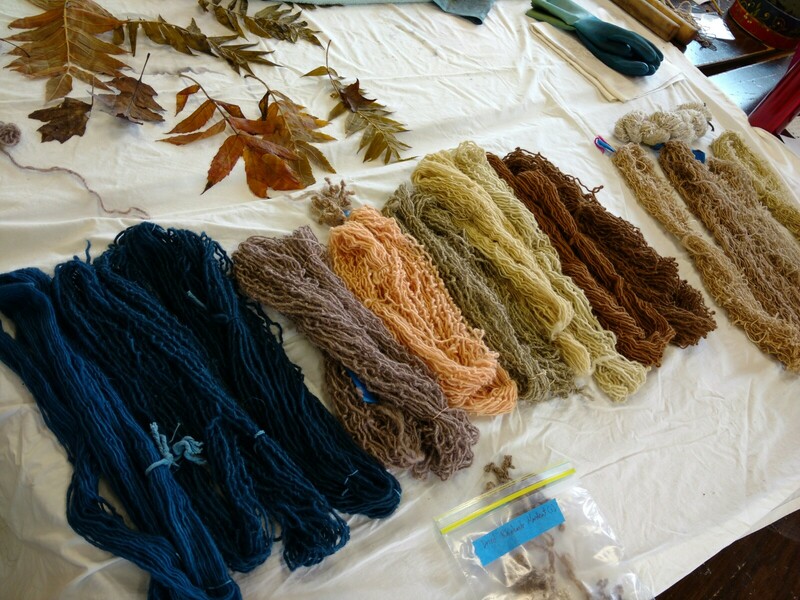 Two students focused on dyeing yarns for tapestry weaving. 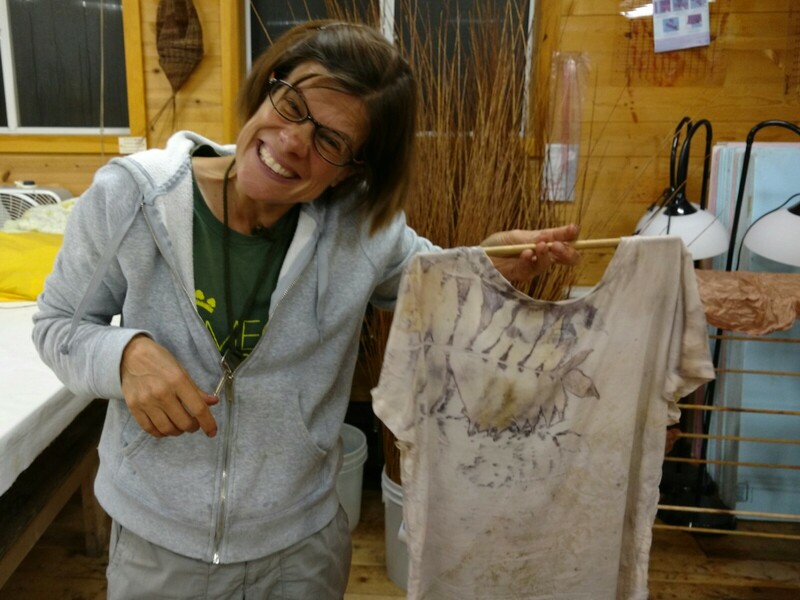 Others were focused on ecoprinting. 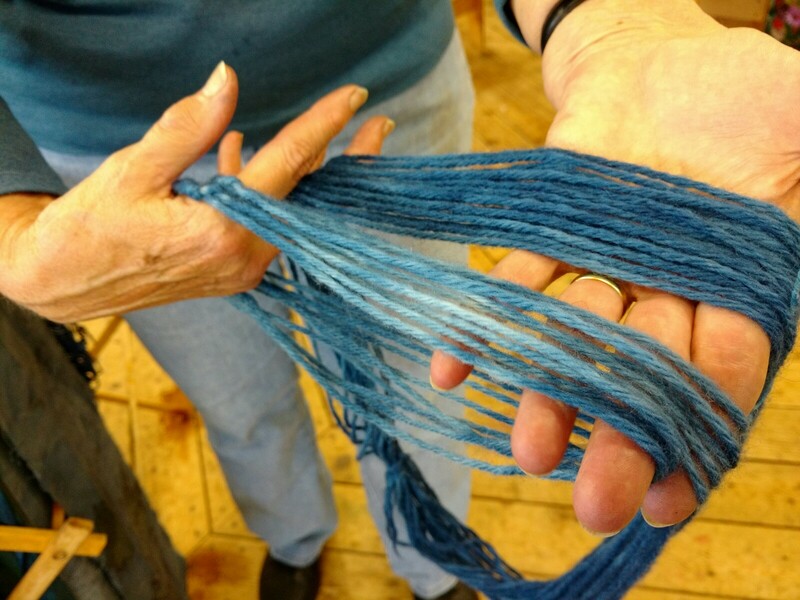 And for some, the main interest was indigo. 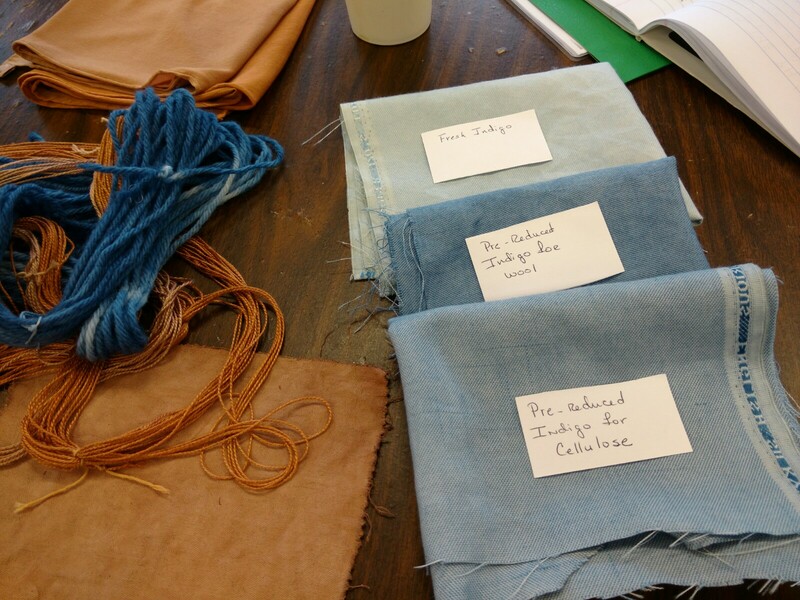 The class did three group vats — one using fresh-leaf Japanese indigo from my garden plus pre-reduced indigo for cellulose and for wool. I’ve also misplaced my notes on things to study further. I remember one for sure: Some dried rhubarb leaf of mine that had gone a bit musty (despite dessicant packets in the tin) gave a beautiful coral color. What might happen if other leaves are fermented or partially composted — like tea leaves — before brewing? 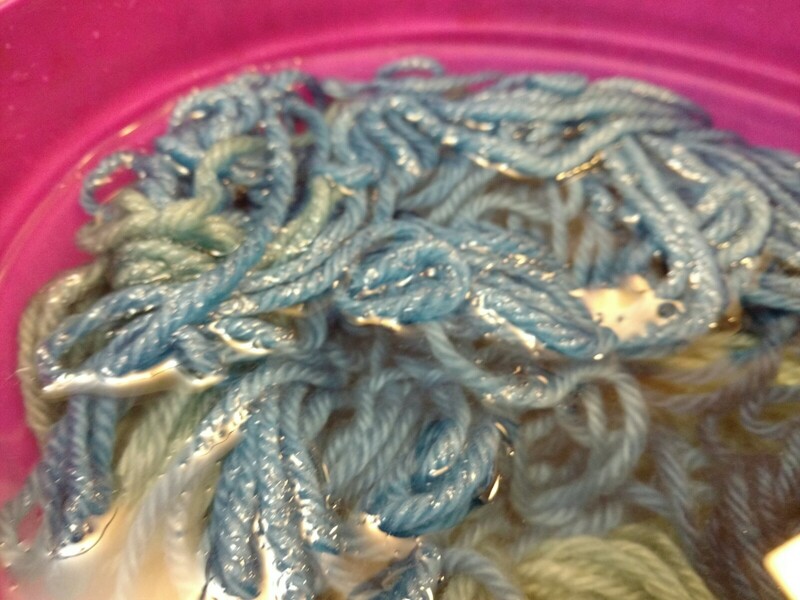 I also forgot whether or not I had washed the few small skeins I had thrown into indigo vats. I know they were all sour-soaked, but I think I ran out of time and missed washing a couple until I got home from Florida the next week. 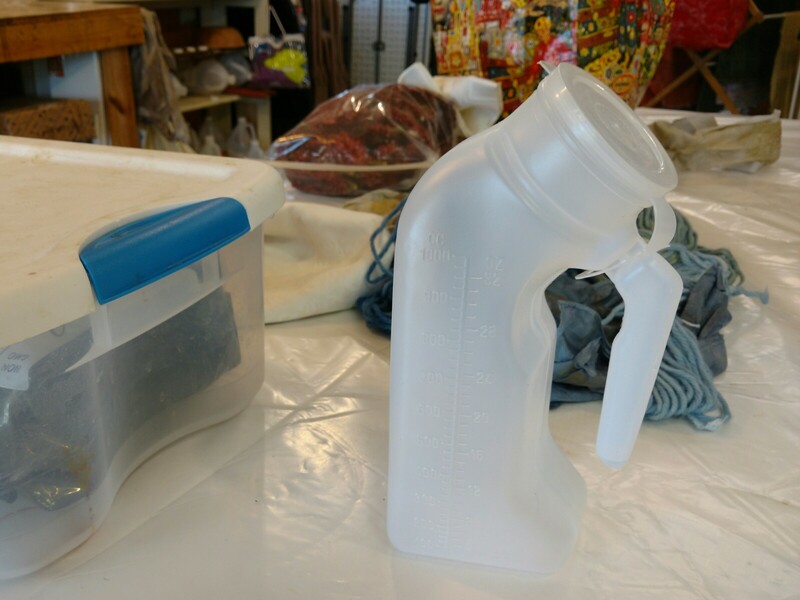 We’re ready for that 2017 indigo Sig vat!